Biblical Preaching is in the middle of a series of articles defending homiletic training. It is interesting how some will study to get a job, but when it comes to preaching, they think they should just do what comes naturally and not put any study into the subject. I would encourage all to go over to the Biblical Preaching site and read the discussion there. What I want to talk about in this article though are the different ways that you can get homiletic training. The first thing you can do is read books. There are a number of books that are available to help you learn how to preach. One of the books I recommend is Best Advice for Preaching. The book was written with new preachers in mind and will give you advice on various aspects of preaching. One book that many recommend is Biblical Preaching by Haddon Robinson. It is a book that is for new preachers as well. One book that is pretty good is How to Preach Without Notes by Charles Koller. This book was created with the mindset of teaching you how to preach without notes. However the book includes a pretty short introduction of various important tools to help preachers learn how to preach irrespective of whether they use notes or not. I would also encourage you to download my free ebook, You Can Preach: 7 Steps to an Effective Sermon That book takes you step by step through the creation of a sermon with worksheets. One reviewer said that when you follow the instructions in the book the sermon basically writes itself. Sign up for the email list to get the free ebook. If you are preaching in the Black Tradition, you should go ahead and purchase a resource that speaks about preaching in that tradition. You might want to download Celebration and Experience by Henry Mitchell. He gives a framework for preaching in the Black Preaching Tradition. There are a number of books out there for preachers. Read them to get a basic idea of what you should do in the pulpit. Another important thing to do is visit websites that teach preaching. Perhaps one of the best sites that teaches various aspects of preaching is Biblical Preaching. I would encourage all preachers to visit that site to learn various aspects of the preaching task. Transforming Sermons is another great site to visit. Milton Stanley provides links to a number of sites related to preaching. You can even see a huge list of preaching sites in his link section. In addition, please go visit the African American Lectionary. You will find exegesis of various texts from African American preachers. They provide a great template to summarize your exegesis of scriptures in their lectionary commentary section. Visit the site to see exegesis of various scriptures. 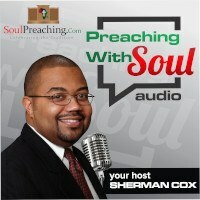 And of course keep on visiting SoulPreaching.Com!!! I remember one preacher saying that he did not like listening to sermons. That would be like a musician saying that she or he does not like listening to music, or a author who does not like reading books. Simply put, if you are going to get better, you must listen to other sermons and evaluate them. I remember one Jazz musician when asked how someone can learn how to play Jazz answered, “Listen to records, the answer to every question is in the records.” I think there is truth there even for preachers. Listen to sermons and you will find different styles of sermonic construction, different approaches to exegete a scripture, different approaches to develop a theme, and different approaches to present the sermon. In the era of the internet you can listen to various sermons on the net. I would encourage you to go to Streaming Faith. 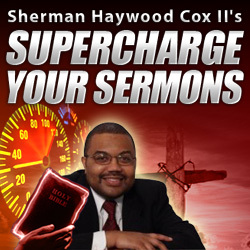 If you want to get better listen to sermons and evaluate them. You can also get ahold of some of the classic sermons by great preachers like Spurgeon. Here is an interesting site that has audio of some of Spurgeon’s sermons. Musicians often use a transcript to study composition or improvisation. Likewise, preachers can study the transcripts of sermons to be better at their craft. You can read sermons in a number of places. I would encourage all to subscribe to the African American Pulpit Journal to get transcripts of a number of effective sermons in the Black preaching tradition. If at all possible, I would encourage you to take a formal class. If you can’t get to the seminary, then take one of those seminars that is offered in churches from time to time. A good course can help you get a “lay of the land” that will help you place your sermonic preparation in context. There are many ways to learn preaching methodology. In the era of the internet it is simply inexcusable for preachers to not study their craft.